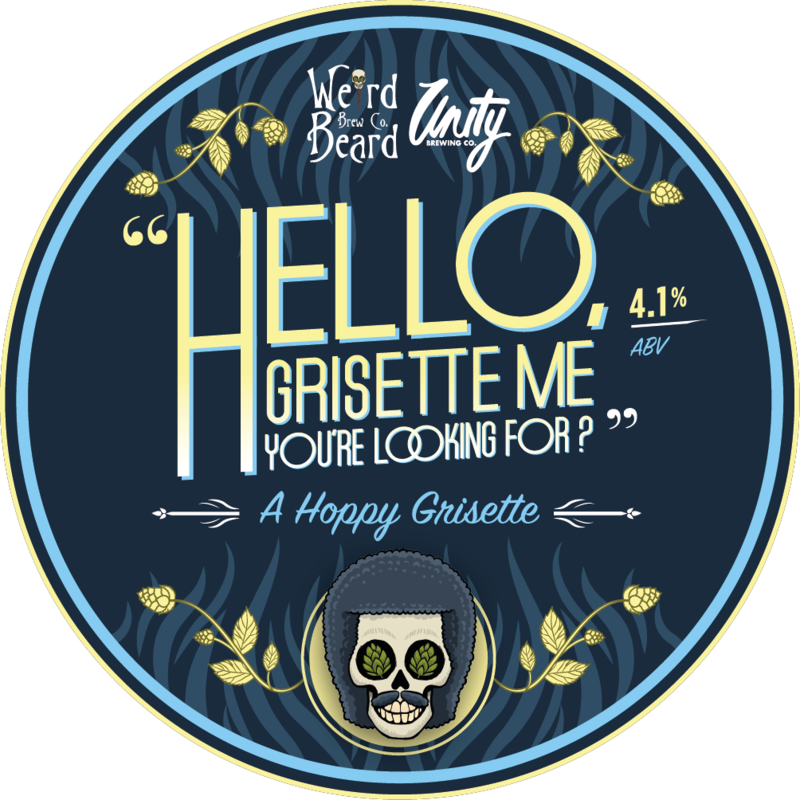 Weird Beard — Hello, Grisette Me You're Looking For? A collab with Unity Brewing, we’ve honed in on their love for brewing modern Belgian beers. Here’s a sessionable farmhouse style, packed with wheat and spelt for a satisfying body and dry finish, evoking tastes of endless summers. New world hops give this beer a big nose of lemon drops and tastes of a fresh fruit salad. You are left with the wheat’s serenade of a tinge of banana. At its ABV, it’s truly a beer to drink “All Night Long”.